In a world that is more digital every day, it is also becoming ever more important to maintain a personal and intimate touch with the people in your life, whether they are family and friends, or clients and customers. The personal touch meets a basic human need, and it will always be something that people respond to and gravitate towards. 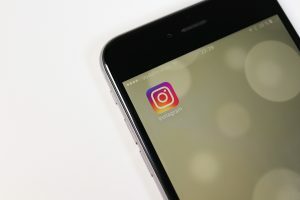 Instagram (IG), as a communication and marketing tool, has the definite advantage of being a platform that can provide that personal element—and that’s why it works. And, apparently, it’s working very well for lots of people. Not too awfully long ago, Instagram was growing at a nice clip, adding 100 million users somewhere in the world. Then last year, it managed to add another 100 million in just nine months. And very recently, Instagram announced that it had reached a record 700 million users, with 400 million people checking in every day. The potential is astounding. Because Instagram is made up primarily of pictures, it has a tendency to be much less political than Twitter or Facebook, and therefore is a much calmer and happier platform by comparison. As you scroll through, you can savor the intimate meanings in pictures from close friends, and you can appreciate the surface beauty of posts from distant ones, doing all that at your leisure. It is the only social network that you can leave alone, and catch up with easily whenever you decide to return. It’s the place you can go to and just say to everyone, “Hey! I saw this, and thought maybe you might want to see it, too? ?” On a personal level, IG is a digital photo album shared with everyone you know. From a business perspective, Instagram provides what a business owner today loses by not doing business out of a brick-and-mortar location – that personal touch in customer service, the “Hello” at the front door, the “How can I help you?”, and the assistance in the changing room. People buy products and services largely from an emotional place; they trust and believe in the company and what it creates and produces, they want to identify with others who use what the business produces or offers; when they are treated well in a store they will return, again and again. Using Instagram for your business adds that personal attention factor back into your interactions with your customers through attractive imagery and engagement. Connecting with customers – as you engage with customers, you build a rapport with them and are able to provide that personal touch through images and engagement. Learning what they like – having built a rapport, you get to know your customers and their needs/tastes much better over time. Reaching new audiences – with 400 million people checking in every day, the connection possibilities are almost endless! Through “following and liking” and commenting on others’ posts, you will make new contacts in your immediate area and around the world. Syncing with other marketing channels – your IG posts can be automatically shared to your other platforms. If you convert your Instagram to a business account via your business Facebook account you have access to the metrics for Instagram as well. Generating sales – as you get your information into the hands of those who trust you and as they share your products and information with the people they in turn are connected with, sales growth is bound to happen! 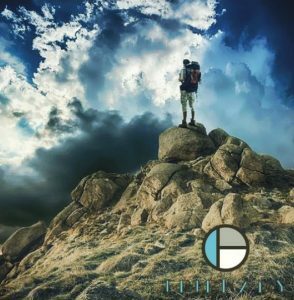 Creating professional-looking images to promote products and highlight services is easy and affordable with this free program. As a result, this visual platform will do more that just generate engagement. It will also drive sales, and in a way that won’t break the bank. 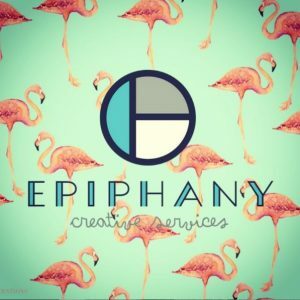 If you have questions about business branding or improving your social media platform through Instagram, contact Epiphany Creative Services. We love helping our clients have “aha moments” and successful experiences. The world is waiting to “meet” your company, book, or product…and Instagram could be the perfect channel to help your find and interact with your audience. ← What If The Founding Fathers Had Social Media?